Dryer balls are a great way to soften and fluff your laundry! 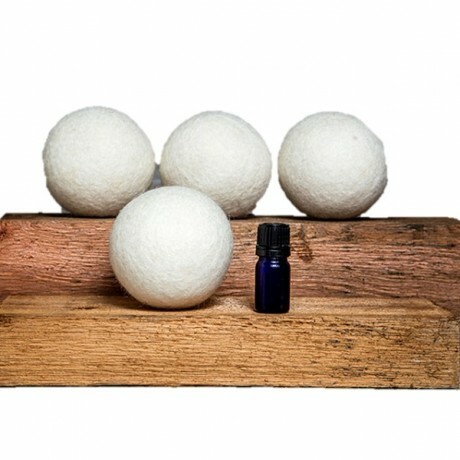 This item includes four 100% wool dryer balls scented with lavender essential oil and a 5 ml bottle lavender essential oil to refresh the lavender scent as needed. Scent is estimated to stay in each ball about 5 weeks. Lavender essential oil is made from lavender grown near Fayetteville, Texas on Somerset Lavender & Herb Farm.